Long-distance relationships are a challenge that many couples face. Often, it is a career choice that carries one partner away from the other one for an extended absence. Couples face the challenge of maintaining a positive presence in each others’ lives when apart. 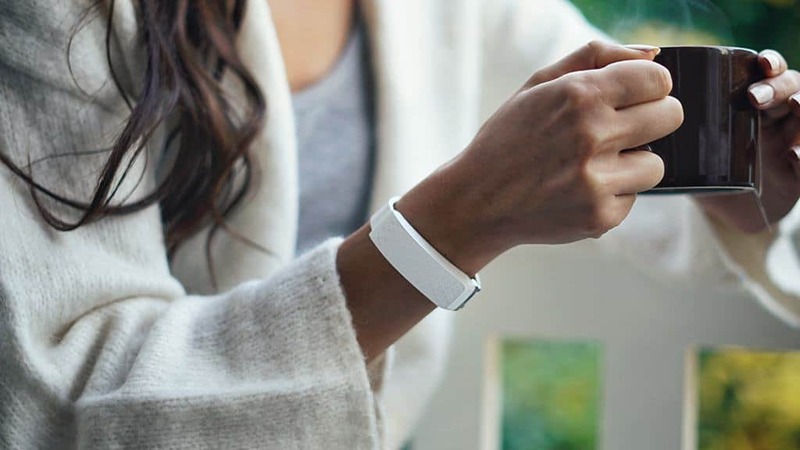 You may be apart from your partner, but now you can feel your partner’s touch from anywhere in the world with a new wearable tech device called HEY by House of Haptics. The physical sensation of touch is one of the ways we communicate intimacy and love. Haptic technology is a way for people to experience social or loving touch through technology. Those who have tried HEY say that they feel a squeeze, a grasp, or a small twitch which is subtle but noticeable. Without the need to say something, using the HEY bracelet with your partner can show that you are thinking about them even when you have to be away. The bracelet is starting production after a Kickstarter campaign raised enough money for the product to begin delivery in August 2017. Creators of HEY say that the technology allows you to feel like you are in touch with the people you love. They say that it gives you another way to communicate with your loved ones in addition to the ways you already do now. Being separated from your partner means missing the pleasure of physical contact. Physical contact gives us so many benefits in emotional, social, sensual, and physical health among others. Research published by the Association for Computing Machinery found that touch, even by a technological device that could be seen as cold and impersonal, is a unique channel in communicating emotion. Researchers say “the relation of touch to affect is immediate, without the need for… decoding.” Their experiment showed that remote touch with haptic technology helped reduce feelings of sadness when partners were apart and increased feelings of joy. A bracelet is just an object, you may think. “It can’t provide the feelings of love that I would get if my partner was here,” you may say. Partner substitutes can help reduce stress through touch. Believe it or not, researchers found that even hugging a person-shaped cushion can reduce your levels of the stress hormone cortisol. Interpersonal touch is a fundamental component of social interactions because it can mitigate physical and psychological distress. To reproduce the psychological and physiological effects associated with interpersonal touch, interest is growing in introducing tactile sensations to communication devices. The researchers tested stress hormone cortisol levels before and after a 15-minute conversation with a huggable person-shaped cushion and communication device. Conversations with the human-shaped cushion that could be hugged revealed significant reduction in the cortisol levels compared to those who talked only by mobile phone. The research seems to show that haptic technology like the HEY bracelet can improve social support systems in modern societies by giving the sensation of physical touch.